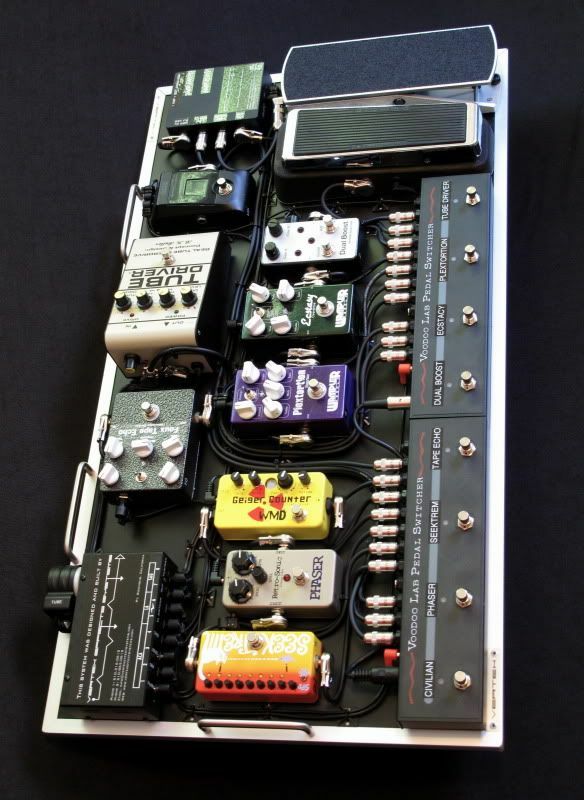 Here's a pedalboard that I did for blues guitarist - Ty Curtis. Ty wanted a rig that would allow him to have a hybrid wet/dry set up with his two Red Plate Amplifiers. 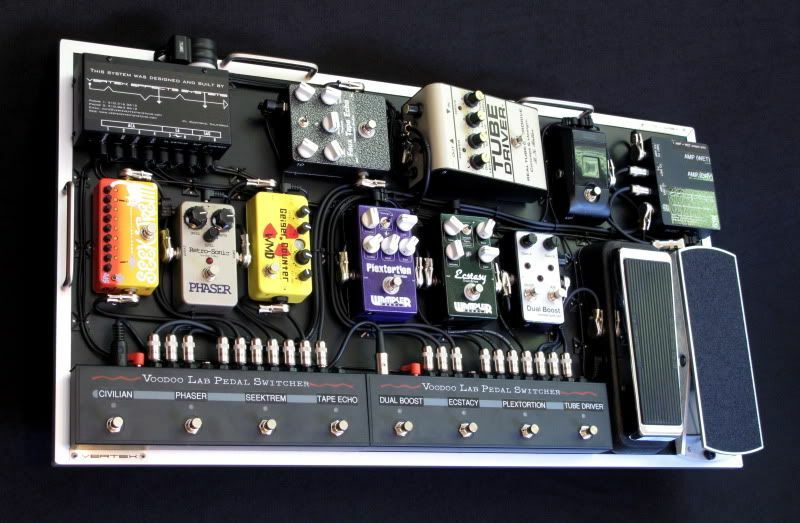 He wanted all of his distortion pedals wah and volume pedal to run together in one amp, and all of his modulation and time-based effects to run into another. We built him a custom interface that allow him to use this set-up and when the dry amp is unplugged from the interface, all of the pedals are sent to the wet amp so the pedalboard could be used with a single amp if desired. 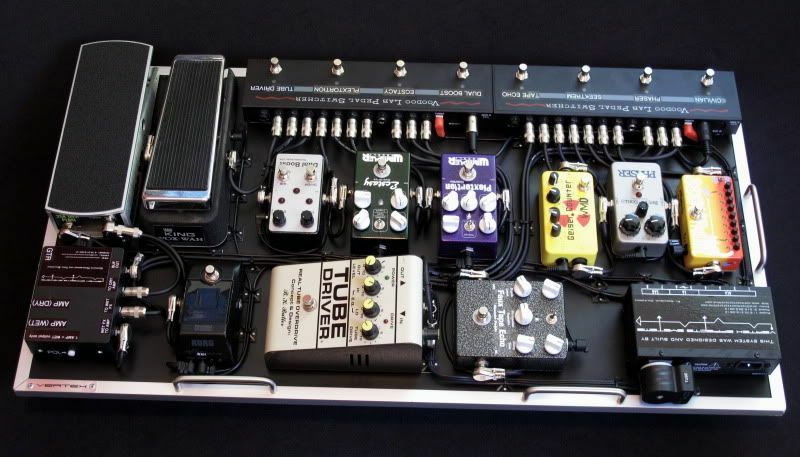 Vertex Tri-Buffer (input, output to DRY amp, and ouput to WET amp), ISO transformer for WET Amp, Polarity switch, and WET amp can be run with all pedals when DRY amp is disconnected.